Grain sorghum is now booting and we applied initial insecticide sugarcane aphids (SCA) last week. This week we are seeing another aphid – corn-leaf aphid (CLA) in sorghum. 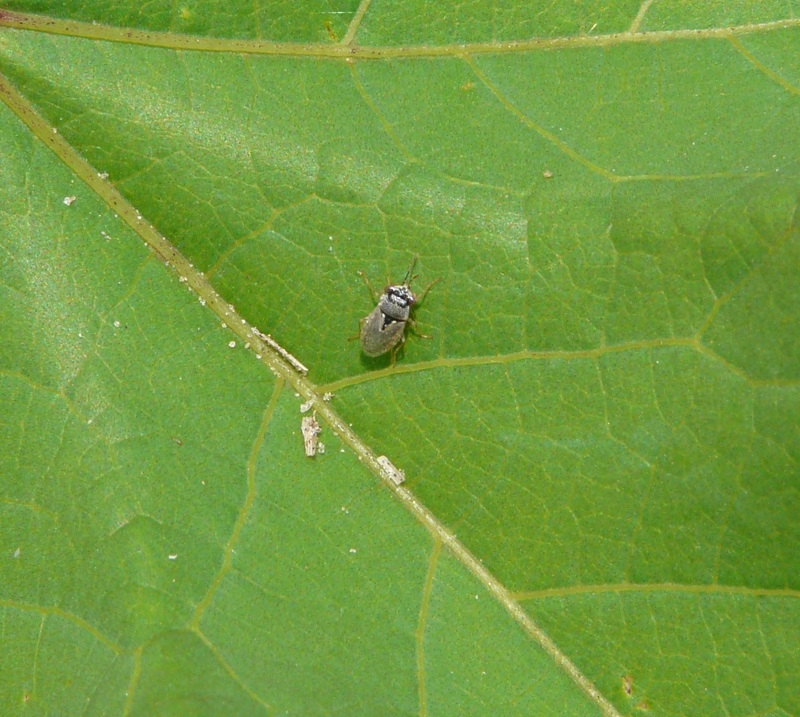 Unlike the SCA, this aphid was seeing on the top of the leaves and near the whorl of the plant. UGA Extension Entomologist Dr. David Buntin says (CLA) normally occur in the whorl leaves but can be found lower down on the plant too. They are not a significant pest unless they build to large numbers, but they do not cause the feeding damage that SCA do. Usually rain and beneficial insects will control them. Our SCA insecticides should kill them. 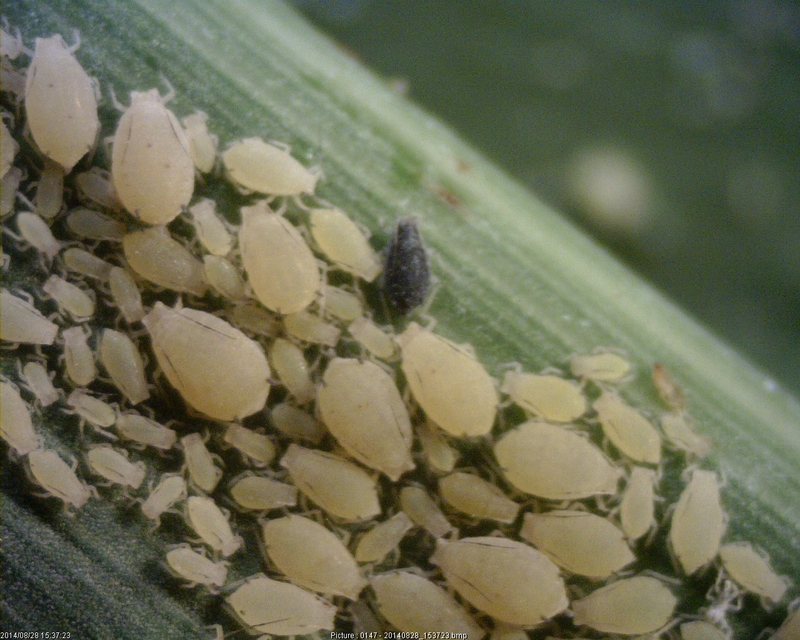 How do we know exactly when to treat for corn-leaf aphids if they become a problem? Dr. Buntin says, we do not have a definite threshold for corn leaf aphid, so just treat when aphids are numerous and leaves begin to look damaged (or chlorotic, yellowing). If only in 2 spots I would wait and see if they get worse. 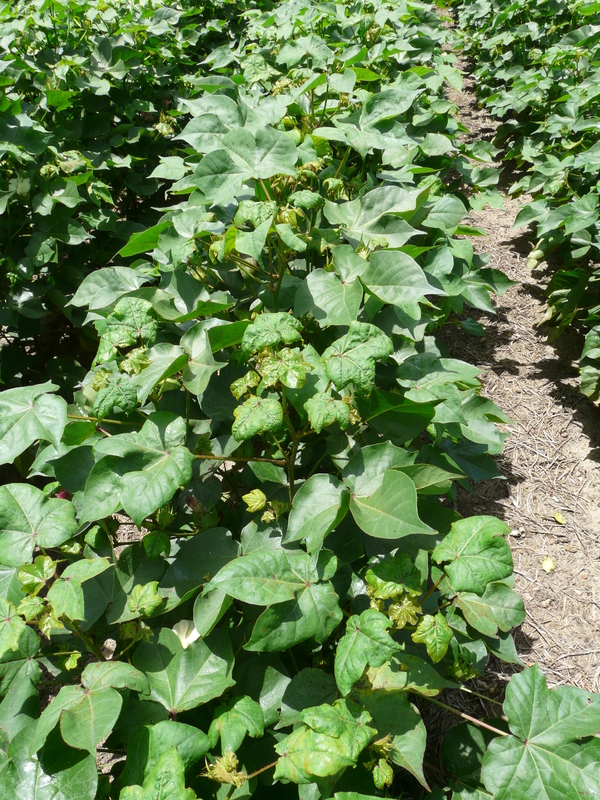 We are seeing aphids in cotton now. Based on my last few years in Thomas County, this is earlier than normal. Jodie sent me this picture of aphids that were parasitized by wasps. The aphids turn a reddish color, then more white color. Sometimes you can see a hole on the backside where the larvae exit. 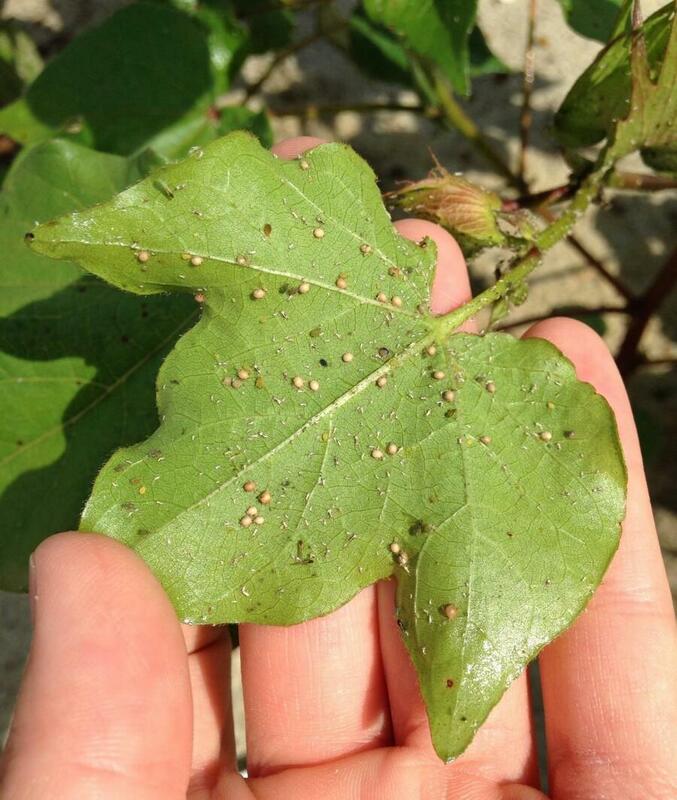 Here is some 5 – 6 leaf cotton that had ants crawling up the stalk. When we looked under the leaves, aphids are present. 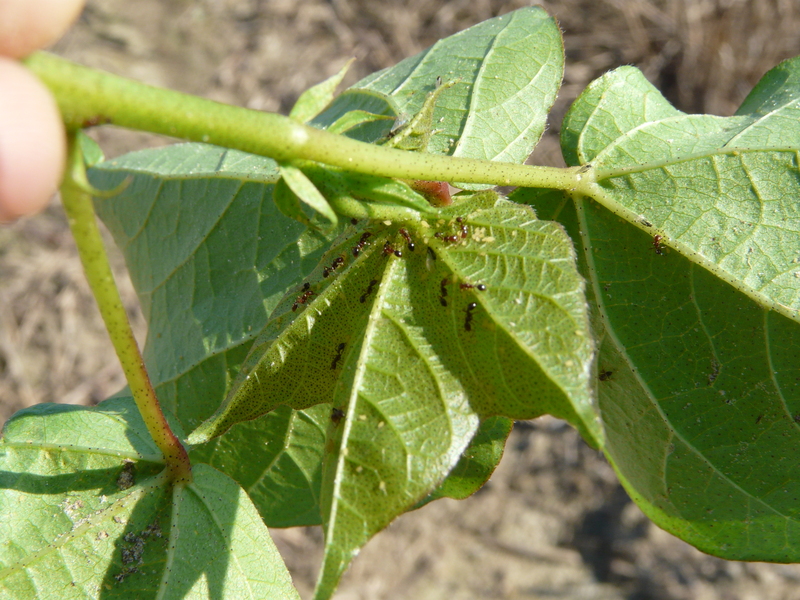 The reason these ants are crawling around the aphids, is that they are ‘farming’ the aphids. 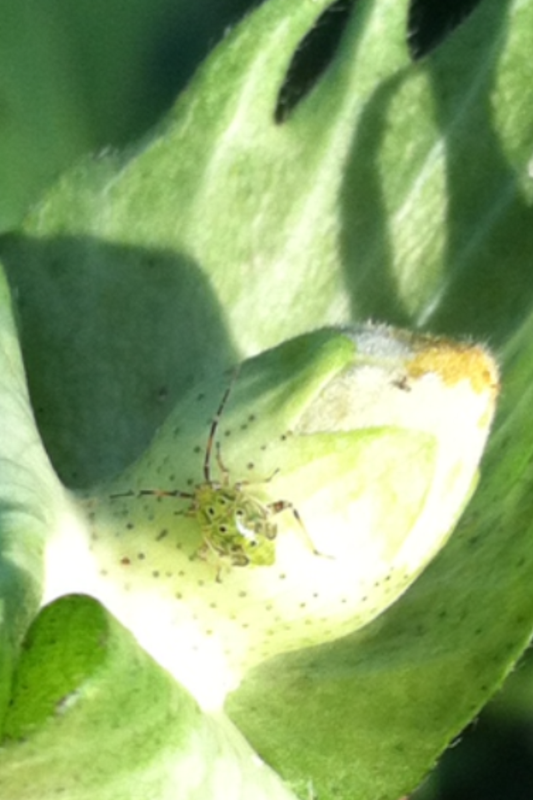 The aphids produce honeydew as they feed on the plant. The ants are after this sweet taste. UGA Extension Entomologist Dr. Phillip Roberts says right now, we do need to be looking for aphids in fields. But one of the most important things we can do is watch for the naturally occurring epizootic fungus that cause aphid populations to crash. We generally see the aphids crash sometime between the last 2 weeks of June and first 2 weeks of July. 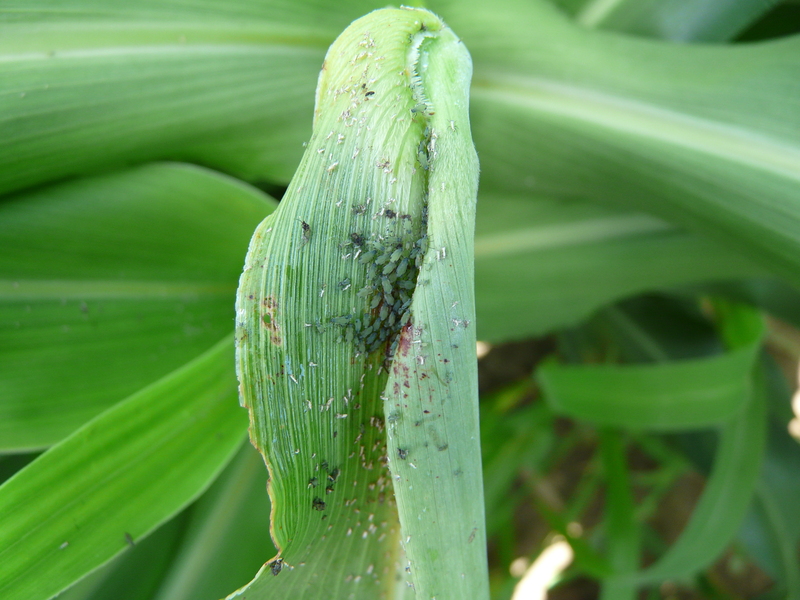 Before the crash, we may see some very small hits of aphids in ‘hot spots’. In these places, we may see honeydew (sticky, shiny material), yellowing in the terminal. We look for gray, fuzzy aphid cadavers. 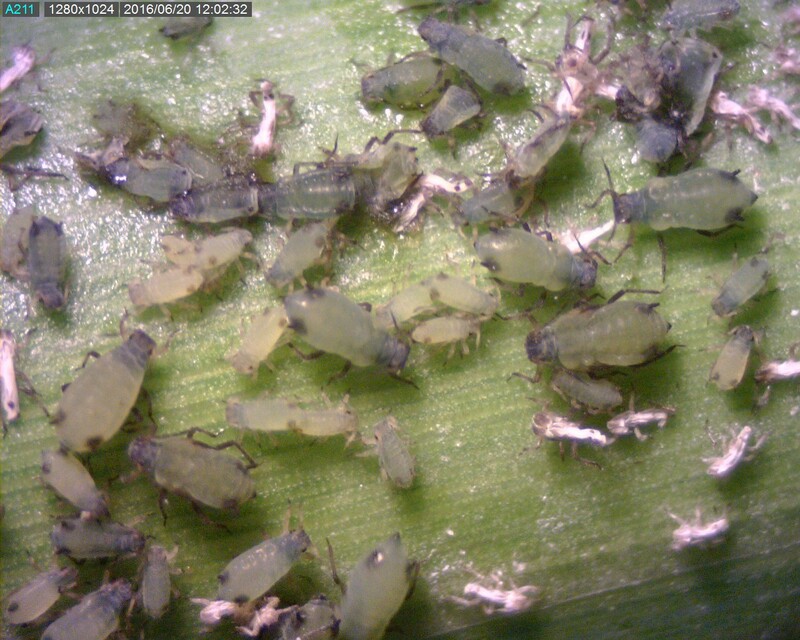 As aphids build, the fungus multiplies, and aphids crash. The crash happens fast and kills all aphids within a week or so. 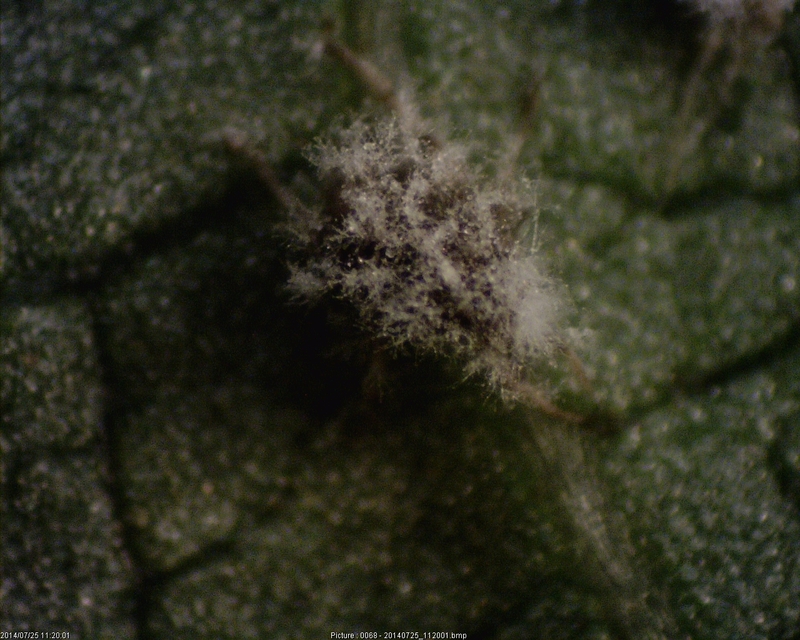 Here is a picture of the fungus on an aphid. If terminal has turned yellow. We are seeing damage from bermudagrass stem maggot (BSM) at this time and will have to start treating fields. I looked at this hay field in Boston last week. Colquitt County Agent Jeremy Kichler is reporting BSM in Alicia plots at the Expo. The hay field will have a frosted appearance after the larvae (maggot) of the fly feed inside the shoot affecting only the top shoots (usually top 2). The lower shoots are not affected. The shoots stop elongating after feeding occurs. 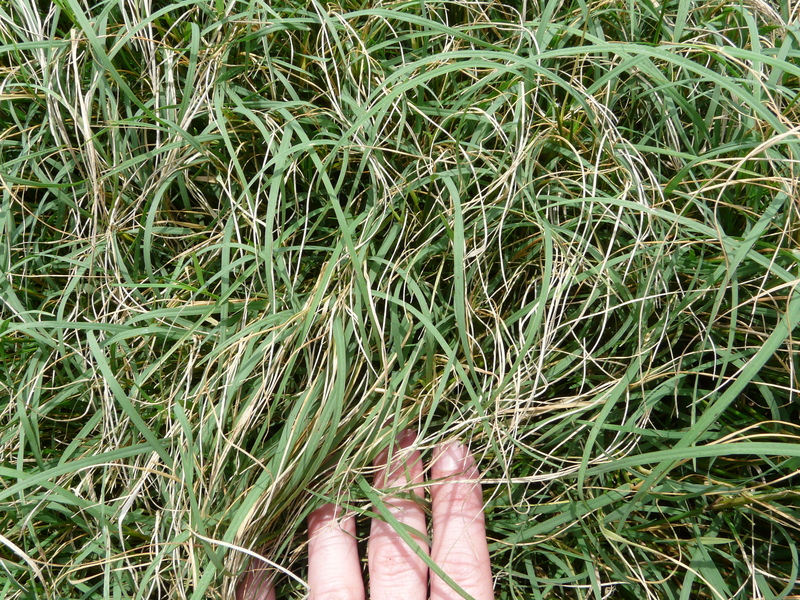 In the U.S., only bermudagrass is a host of BSM. Below are points I try to summarize from Biology & Management of Bermudagrass Stem Maggot. Click that link to read more detail. The fly is small and yellow colored with dark eyes. 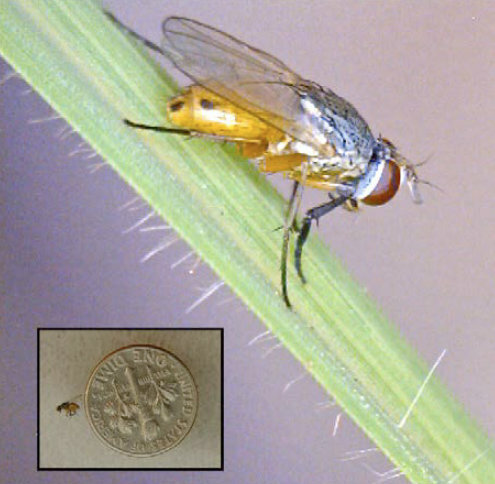 The fly lays its eggs on the bermudagrass stem near a node. The maggot is yellowish in color and grows to be about 1/8 inch long. It may be hard to find the maggots, because they have usually left the stem by the time the plant shows symptoms of damage. There are multiple generations each summer. The fly has a life cycle that usually lasts about 3 weeks, but can be as short as 12 days. One cultural option we have is to go ahead and cut the hay. UGA Extension Specialists Dr. Will Hudson and Dr. Dennis Hancock say if damage is found within 1 week of the normal harvest stage, go ahead and harvest the crop as soon as weather conditions allow. Once the damage becomes apparent, the crop is unlikely to add a significant amount of yield. If damage is observed within 1 to 3 weeks after the previous harvest, it is also likely that the crop will not add a significant amount of yield. The damaged crop should be cut and (if the yields are substantial enough to warrant) baled and removed from the field as soon as weather conditions allow. 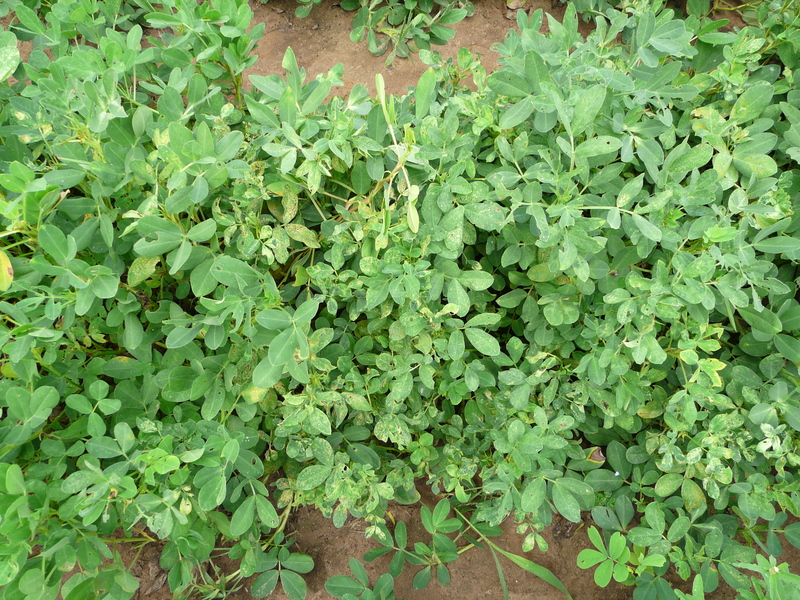 Leaving the damaged crop in the field will only compete with any attempts by the plant to regrow and decrease the opportunity that the next cutting will have to accumulate mass. 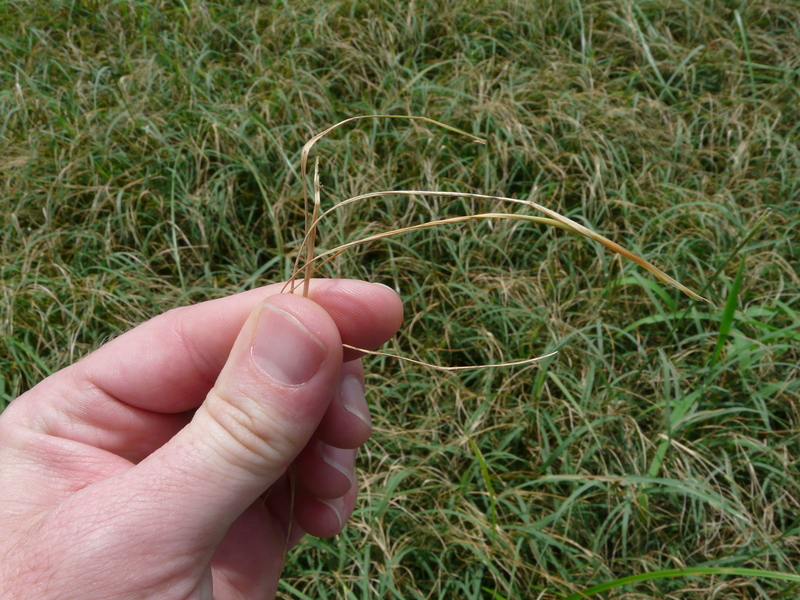 We still do not have an insecticide that can successfully eradicate the invasive bermudagrass stem maggot (BSM). 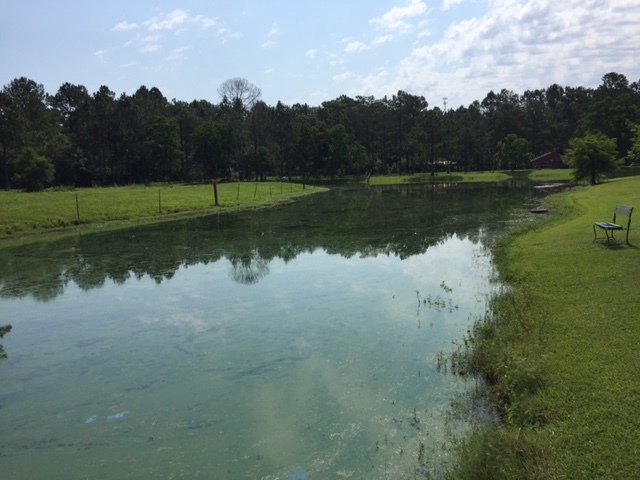 However, we have been able to suppress the fly population and the associated damage by the maggot when affected bermudagrass fields received two applications: 1) applying a pyrethroid (any labeled pyrethroid seems to work) as soon as the harvested bermudagrass begins to regrow (7 – 10 days after cutting) and 2) a second application 5-7 days later. Because of the expense of these treatments, these applications should only be made if a history of BSM damage would suggest that greater than 25% yield loss from the BSM is to be expected. 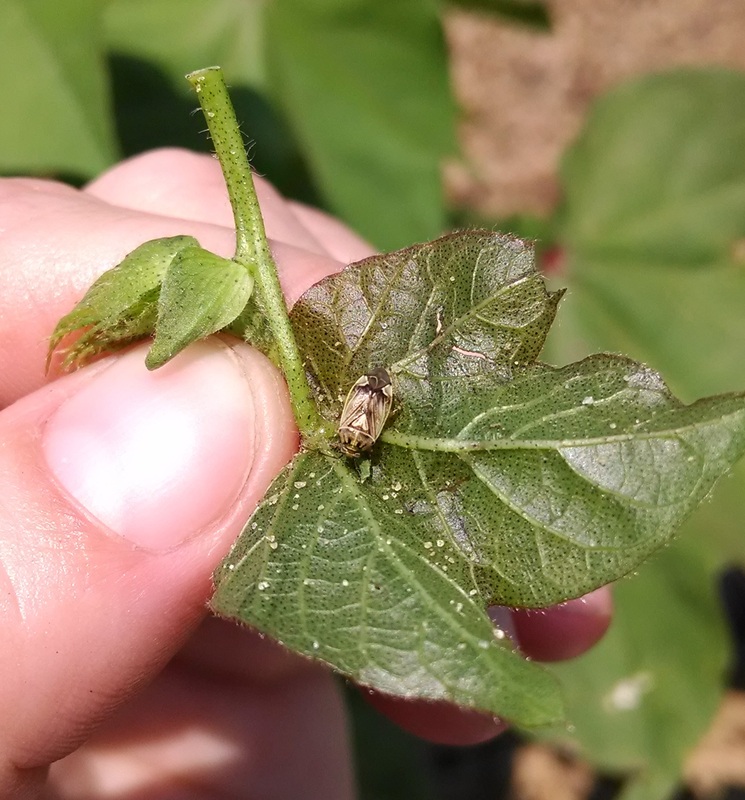 At cotton scout school this week, Dr. Roberts showed us plant bugs and other insects he is seeing at this time. Colquitt Ag Agent Jenna Brock is seeing some and also some reported by Jodie Stringer down here. I ran a sweep net through one field, and did not see any plants bugs. In a field where I looked, I did find a bigeyed bug. These are not problem insects. They actually feed on small caterpillars and eggs. Minute pirate bugs look somewhat similar and are beneficial also. The Tropical Storm Colin came from the Gulf of Mexico and traveled the most important peanut production areas of the state. We had between 3 and 7 inches reported around the county. 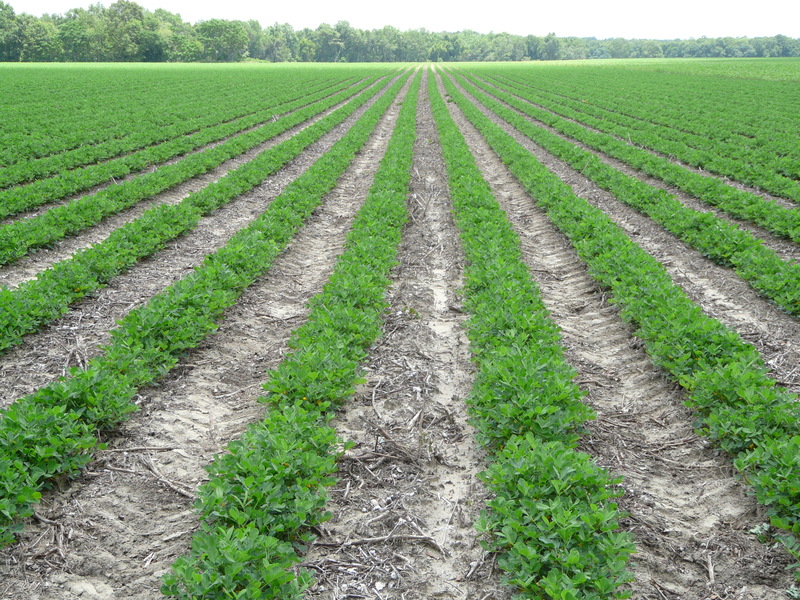 The subsequent rain will have impact on diseases affecting peanuts (and other crops). This also coincides with the time when growers are beginning their fungicide program. Also, it is the time when the peanut plant is shifting from vegetative growth to reproductive growth (flowering). 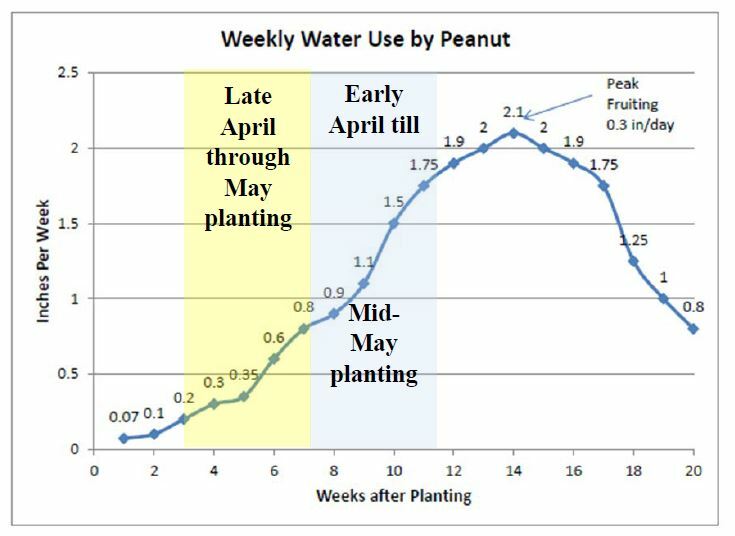 Within a month after planting, the peanut crop enters the window where a traditional disease management program begins. An important principle of disease management on any crop is to apply fungicides prior to disease onset. The most important disease observed in 2016 has been Aspergillus crown rot, a fungal disease that is our most common seedling disease. It is often diagnosed by the abundant black/sooty sporulation on the crown of the plant, typically just below the soil surface. The disease is most common in very hot and dry soils where the tender taproot and shoot is scorched by the surrounding soil, thus creating injury that is exploited by the fungus. The disease is also found where lesser corn stalk borers are a problem. 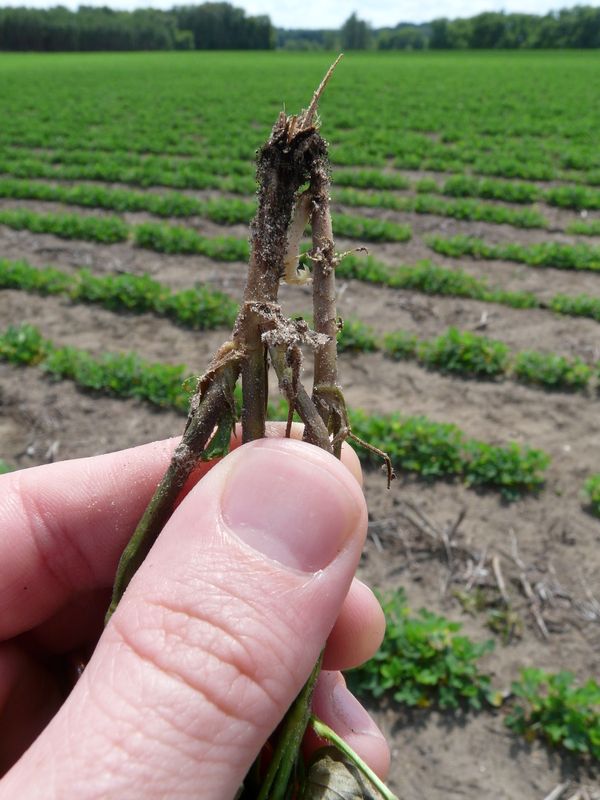 Fungicide seed treatments are effective in managing this disease but can suffer when conditions favor crown rot. In-furrow applications can also reduce outbreaks of Aspergillus crown rot. Foliar fungicide applications after disease is observed have not been especially helpful. Tomato spotted wilt is showing up more and more on young peanuts. It was my observation that feeding injury from thrips was severe on both cotton and peanuts this year; I am concerned that we may see more TSWV this year than we have in the recent past. 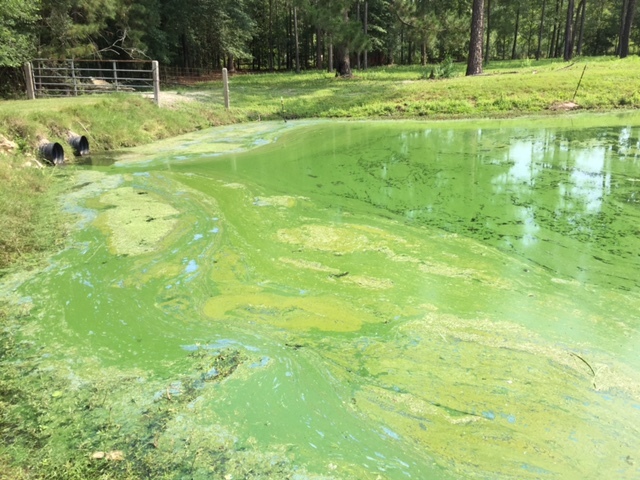 While there is nothing to be done at this point, being able to diagnose the problem and to explain why the disease has occurred in a field is helpful. 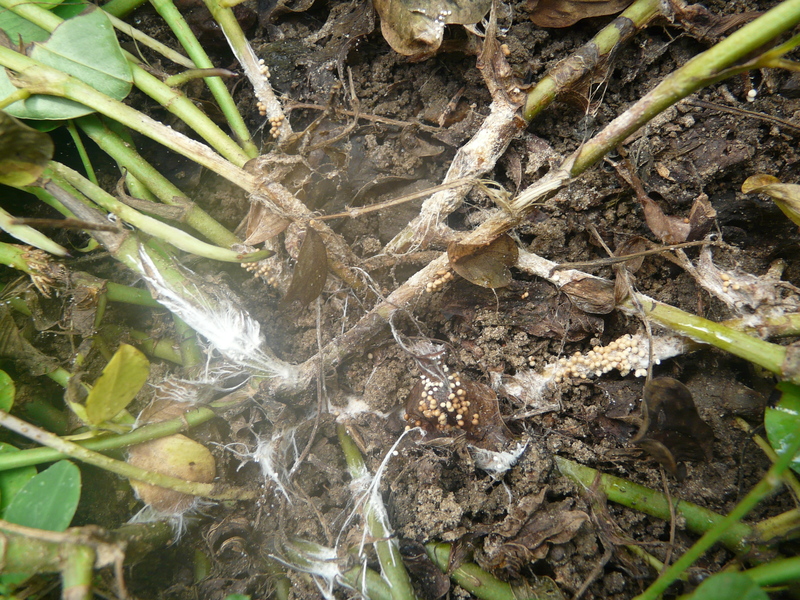 White mold: I have not seen white mold on peanuts thus far in 2016, but strong early-season growth of the peanut plants coupled with very warm soil temperatures can set the stage (as in 2015) for a “white mold year”. The 2016 year may also be problematic for white mold because A) many growers are on shorter rotations and B) because of the price of peanuts, growers may be reluctant to spend more money on “premium” products. Growers can begin a white mold fungicide program earlier than the traditional “60 days after planting” in a number of different ways. Two popular ways include banding a white mold fungicide like Proline early in the season and also by mixing a fungicide like tebuconazole with early leaf spot fungicide applications.